KATHMANDU, JULY 23: The ruling CPN (Maoist Center) has decided to downsize the party's central committee to two-digit figures for the effective functioning of the party. The party currently has around 4,000 central committee members, way too higher than the central committees of the Nepali Congress and the CPN-UML. 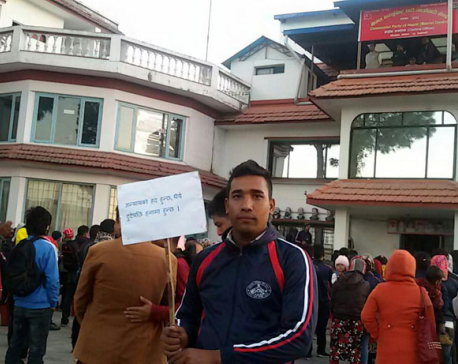 Maoist Center leaders said that an extended meeting of the party secretariat that concluded on Saturday has decided to begin works to downsize the central committee and other bloated committees of the party. The party's higher committees including the standing committee and politburo look equally bloated. "The Chairman (Pushpa Kamal Dahal) announced to downsize the central committee to double digits after many questioned the rationale behind the current huge committee. Works to downsize the bloated committee will hopefully begin before the provincial and federal elections," said Mani Thapa, a leader of the party. Maoist Center leaders said that the jumbo central committee was as major reason behind the party's poor performance in the local elections. Thousands of local leaders are unhappy with the party headquarters for promoting their juniors to the central committee. "Many were angry with the party for not giving them the right space and ticket to contest the local polls. They betrayed the party's candidates in the local elections. This has also ringed alarm bell in the party," said a leader. In the central secretariat meeting, Dahal had confessed that he had made a mistake by setting up a jumbo central committee. He said that he was compelled to do so as per the agreement with nine former Maoist parties which opted for unification with the Maoist Center. On the occasion, Dahal also announced to form a probe panel of three leaders in each province to look into allegations of internal betrayal during the civic polls. "There have been reports of internal betrayal during the first two phases of elections. There will be a thorough investigation into the allegations and party representatives found to be working against the party policy will be punished," a leader present in the meeting quoted Dahal as saying. Downsizing the central committee was one of the several decisions taken by the party's secretariat meeting. 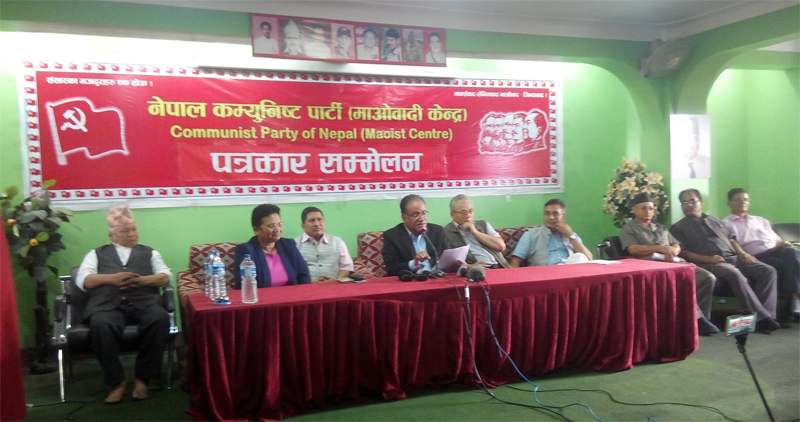 In a press conference organized to share the decisions of the party's secretariat meeting on Sunday, CPN (Maoist Center) leaders said that the party would formulate strategies to avoid similar mistakes in the upcoming elections - local, provincial and central polls. Eight districts of Province 2 with 127 local units are scheduled to go to polls on September 18 while the dates for provincial and federal polls have not been fixed yet. The party also plans to hold a conference of leaders from Province 2 on July 25. "Proper poll plans will be developed taking suggestions from the representatives of Province 2. The party targets to win at least 50 local units," said a leader. The party has also decided to form a committee under senior leader Narayankaji Shrestha to draft the party's election manifestoes and commitment letters for the upcoming provincial and federal elections. The election of provincial and federal governments will take place before January 21, 2018. The committee, which will comprise economists, politicians and sociologists, will draft the party's vision, plans and policies in a simple and clear language. A separate committee has been announced under leader Ram Bahadur Thapa to select candidates for the provincial elections. The party has also decided to start a fresh campaign for a directly elected president in the country. 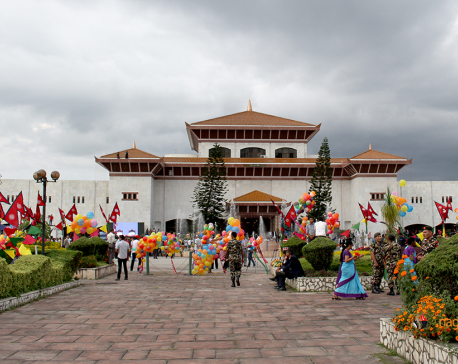 Several fringe parties including Naya Shakti Nepal and Federal Socialist Forum Nepal have been advocating the need for a directly elected president. Similarly, the party has also decided to provide necessary training and orientation to the party's representatives in the local governments. The meeting will take place from August 4 to 6. The venue of the meeting has not been fixed yet. The party has also directed its leaders to start door-to-door campaigns for the provincial and central elections. "We have moved forward correcting the past mistakes without wasting time. The party has decided to begin campaigns for all upcoming elections at once," said the party's spokesperson, Pampha Bhusal.